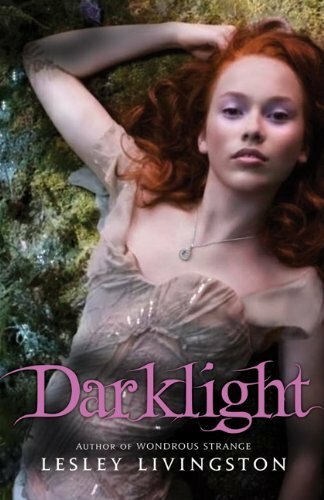 Wow, where do I possibly begin with Darklight? I adore this series so much. The premise is so enthralling: Kelley is actually the daughter of the Winter King and the Autumn Queen, stolen away when she was a baby by a mortal woman whose son was also stolen by the fey. That son just so happens to be Sonny Flannery, the boy that Kelley is madly in love with. Not just that, but Kelleys’ father, Auberon, has taken his side of Kelley’s birthright from her, leaving her with only her mother’s very potent, darker magick. At the Samhain gate is cracking, letting creatures through and making more work for the Janus guard. This book was a perfect continuation of Wondrous Strange. It picked up slightly after WS ended, and immediately threw you into action. Kelley takes a trip to Central Park, which she should be avoiding, and from there things go bad. What really surprised me about this book is the not-so-subtle hinting at Team Fennrys!!!!!! WHOA. From the moment that he started getting some major air time, I couldn’t stop thinking, “Okay, this is going somewhere. But where?” I’m also slightly chagrined to say that I can totally see Kelley with Fenn… But I don’t think it would be right. She belongs with Sonny. If you liked Wondrous Strange, you’ll love Darklight. I was turning pages frantically, needing to know what happened next. In fact, I started at finished this book in just over 2 hours. I give this novel 5 out of five stars. Read my review of Wondrous Strange here! It's right there is many similitudes between French and Spanish :). I've learned spanish during 5 years but now I've started russian classes in college :D.
If you want to come in France, stop by Bordeaux I live and study there :). I love these books too and can't wait for the next one. I'm for Kelley and Sonny but like you said, I could totally see her with Fenn. So glad you loved this novel and thanks for the great review!